When you get an oil change, it's always a safe bet to just use the type of oil the manufacturer recommends. But sometimes we're asked if we'd like conventional or synthetic motor oil. We glance at the price tags on the two options and choose the cheaper one. But in this case, the more expensive oil might be the better bargain for Livonia drivers. Conventional oil is made from petroleum. Its molecules form long hydrocarbon chains. Synthetic motor oil is either more highly refined petroleum or completely man-made. Its molecules are more uniform. This provides advantages over conventional motor oil. First of all, the molecular structure of synthetic motor oil makes it more slippery than conventional oil so it lubricates better. This translates to better wear protection for Livonia drivers, cooler operating temperatures and more engine power. Further, synthetic oil is more heat-resistant than conventional oil, and it doesn't vaporize as easily. It provides better protection for severe conditions like stop-and-go driving around Livonia and very hot or freezing Michigan temperatures. Also, synthetic oil doesn't generate oil sludge like conventional oil. This prevents small engine passageways from becoming clogged, which can significantly extend the working life of your vehicle engine. Manufacturers are aware of the advantages of synthetic oil, and many of them are using it to fill their vehicles before delivering them to be sold. 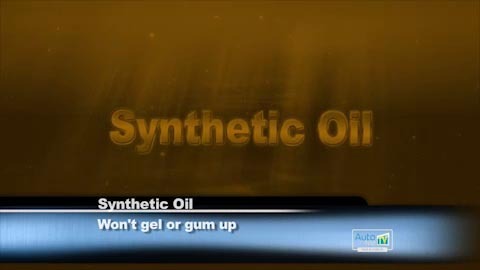 Many owner's manuals now come with the recommendation to use only synthetic oil. Because synthetic oil wears better and protects better than conventional motor oil, it can be changed less often. If your vehicle came with a recommendation for synthetic oil, you may have noticed that the recommended period between oil changes is longer than what you're used to. However, if you switch to conventional oil, you need to be aware that you can't follow this longer service interval. You'll have to change your oil more often. On the other hand, if you are using conventional oil and you switch to synthetic oil, you may be able to lengthen the time between oil changes. You can ask the pros at All Night Auto for more information. They can offer you good auto advice about oils and service intervals based on your driving habits and requirements. Oil changes are the hallmark of preventive maintenance at All Night Auto. All Livonia drivers need them. So we should get excited about a product that reduces how often we need them. Synthetic oil is more expensive, yes, but it can pay for itself by lasting longer than conventional oil. And when you add in the hidden savings of an extended engine life and improved fuel economy, not to mention increased engine power, there's a good chance that synthetic oil actually saves cash in the long run. All Livonia drivers pay for vehicle care. But understanding what we're paying for can make us more savvy shoppers.